Bring the awe-inspiring and traditional beauty of nature into your bedroom spaces with the Aspen 4 piece king bedroom set. Now at RC Willey, this collection offers a stunning dark brown finish and stately silhouettes that are artfully enhanced with golden-hued leaf detailing. An eye-catching, stunning branch motif adorns the headboard. This breathtakingly handsome collection offers durability and an inviting, enduring design that you're sure to cherish for years to come! 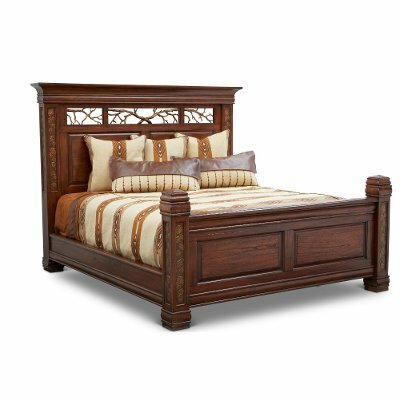 Now at RC Willey, bring the awe-inspiring and traditional beauty of nature into your bedroom spaces with the Aspen king size bed. 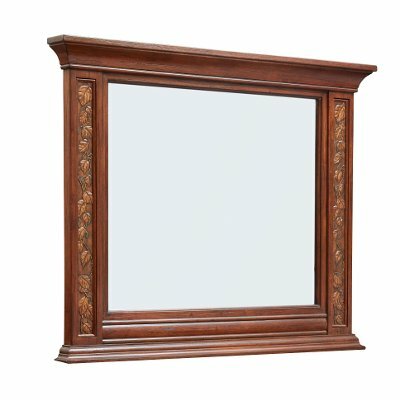 This piece offers a stunning dark brown finish and stately silhouettes that are artfully enhanced with golden-hued leaf detailing. An eye-catching, stunning branch motif adorns the headboard. This breathtakingly handsome collection offers durability and an inviting, enduring design that you're sure to cherish for years to come! 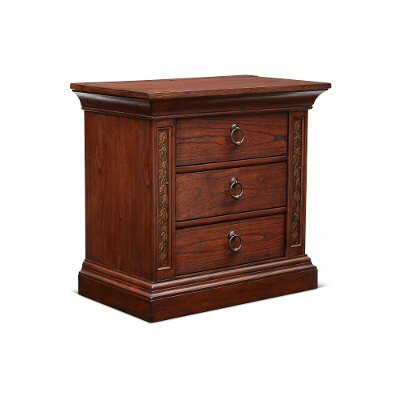 Bring the awe-inspiring and traditional beauty of nature into your bedroom spaces with the Aspen nightstand and it's now at RC Willey! This pieces offers convenient storage with its 3 drawers and features a stunning dark brown finish and stately silhouettes that are artfully enhanced with golden-hued leaf detailing. This breathtakingly handsome collection offers durability and an inviting, enduring design that you're sure to cherish for years to come! 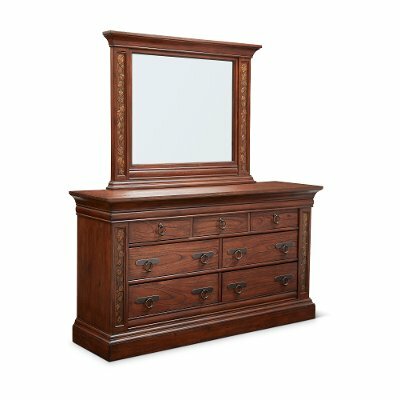 Let RC Willey and the Aspen dresser help bring the awe-inspiring and traditional beauty of nature into your bedroom spaces! This pieces offers convenient storage with 7 drawers and features a stunning dark brown finish and stately silhouettes that are artfully enhanced with golden-hued leaf detailing. This breathtakingly handsome collection offers durability and an inviting, enduring design that you're sure to cherish for years to come!